Communism is a remarkable three-piece pop-rock band from Toronto, Ontario. Featuring Paul Linklater and Kevin Lacroix, the band’s the brainchild of well-respected producer, drummer, singer, songwriter, and multi-instrumentalist Don Kerr, who has worked with Ron Sexsmith, Rheostatics, Gord Downie, Leslie Feist, and many, many other people. Their latest record, Get Down Get Together, came out this past fall and I visited Don in his Toronto home for a pancake breakfast to discuss righteousness, partying, love, parenting, the preciousness of time, and much more. We were joined by Don’s youngest son Austin, who was home sick from school that day. 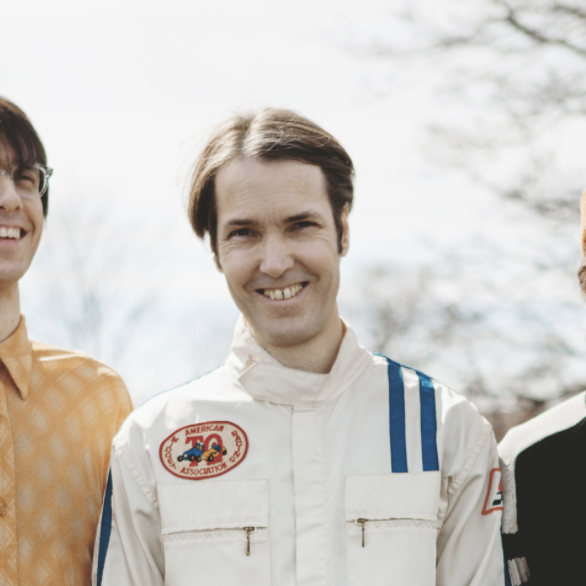 So yeah, this is me and Austin and Don Kerr of Communism on Kreative Kontrol.